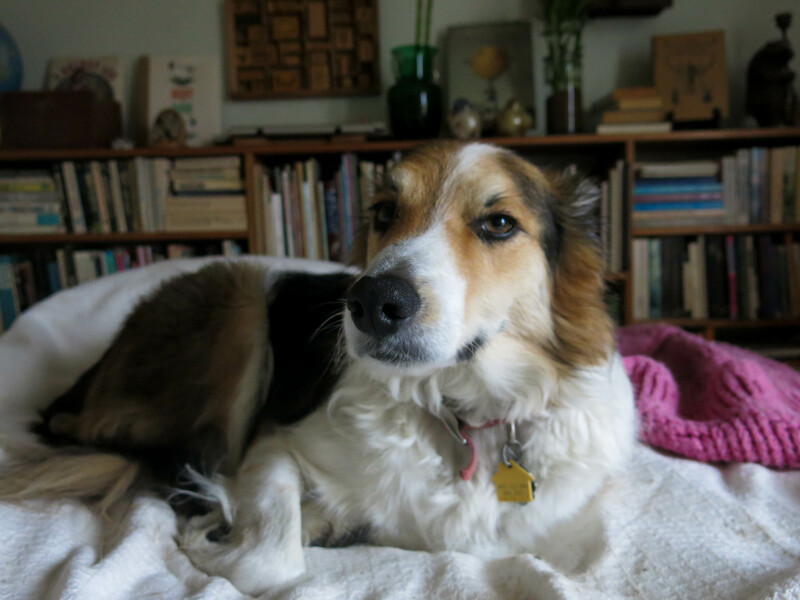 Greetings and salutations, everyone; yes once again it is I, your popular host, Mani the purebred border collie, here on this extremely chilly day to bring you up to date on the news from our garden and its environs. You may remember me from such posts as “Horticultural Invective”, among so many, many others. Here I am in a characteristic pose. Roughing it, of course. Since I last posted, the guy I live with has been busy talking on the phone a lot, and filling out forms. It doesn’t seem like he’s having a huge amount of fun doing all of this. I totally forgot to show the picture of the cloud we had a couple of weeks ago, so here it is now. 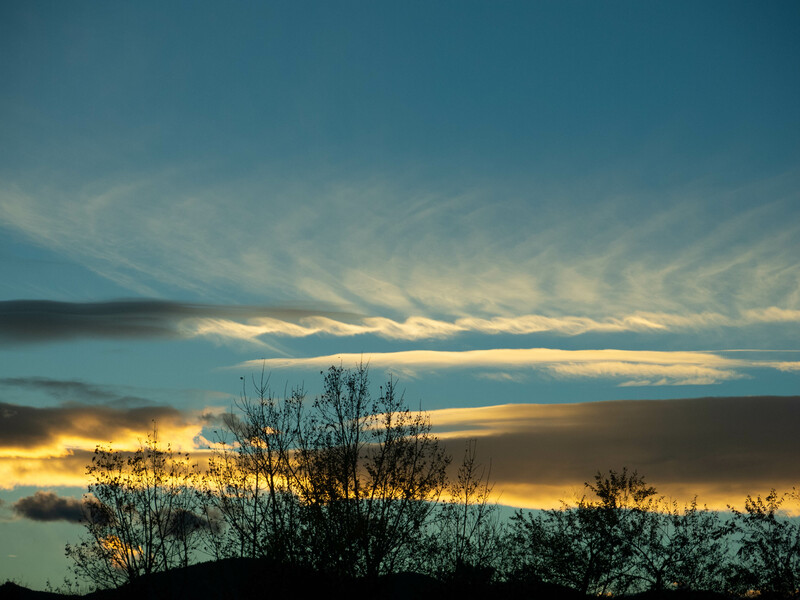 The guy I live with said that you sometimes see spirals like this when the wind off the mountains is just right. 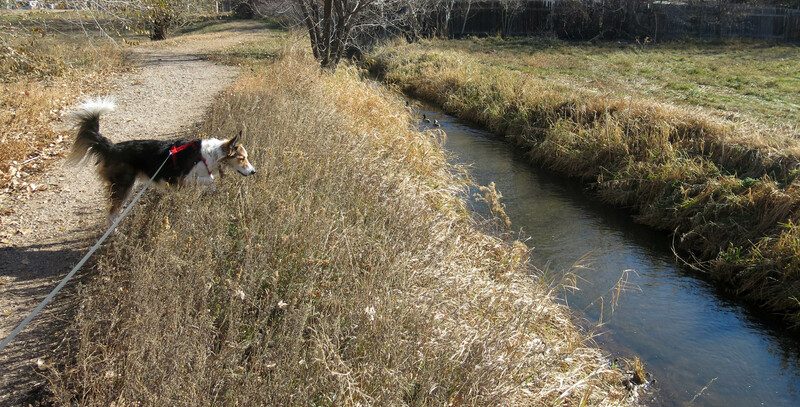 Last week it felt like the water in the canal might stop flowing within a few days, so we looked for the muskrat a lot. Sometimes we saw it, and sometimes we didn’t. Here I am doing some serious looking. 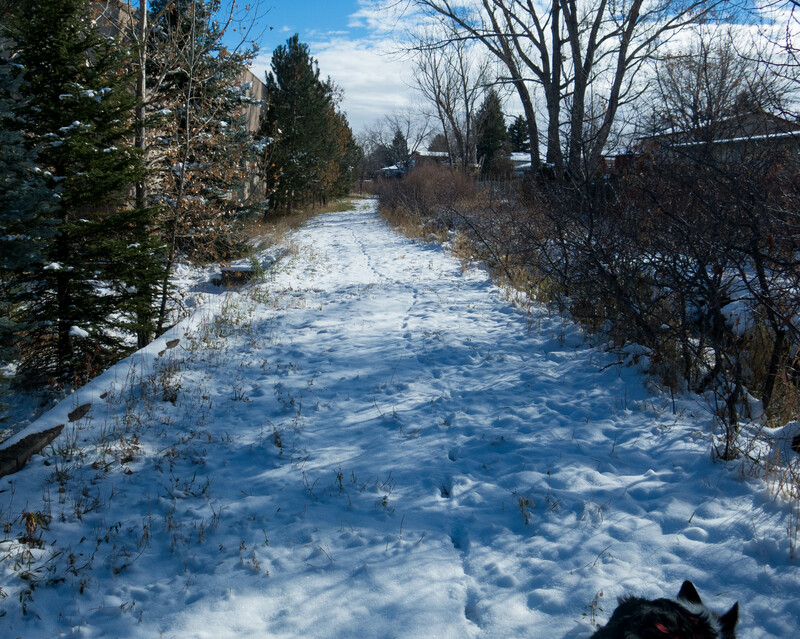 Then it snowed, and the water level in the canal dropped quite a bit. The guy I live with said that the muskrat would spend the winter either in its cozy canal-bank home, all lined with dry grass, and a tiny bed, a tiny television; maybe even wi-fi. Or it would go to a place called “Florida”. So we won’t see the muskrat again until next spring, when the water begins to flow. (I say “muskrat” but we think there are two of them.) Then the other day, the water in the canal stopped. The guy I live with said that someone shuts it off, farther west. There was some water left, in pools here and there. 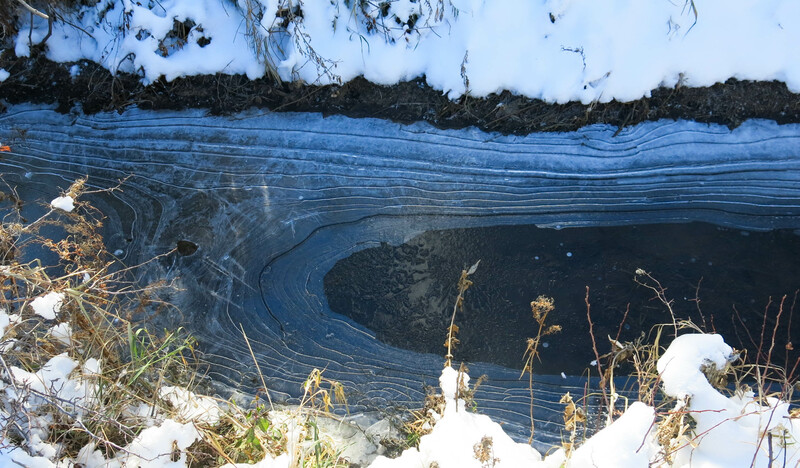 As the water level went down, it began to freeze, and the ice made patterns. Down the canal road, heading east, I discovered I wasn’t the first one to go on a morning walk. Those tracks weren’t made by a dog. I didn’t see anyone except the guy I live with, who follows me on my walks. I’ve seen big hawks in the trees every single day. Sometimes more than one hawk. They sort of screech at each other. 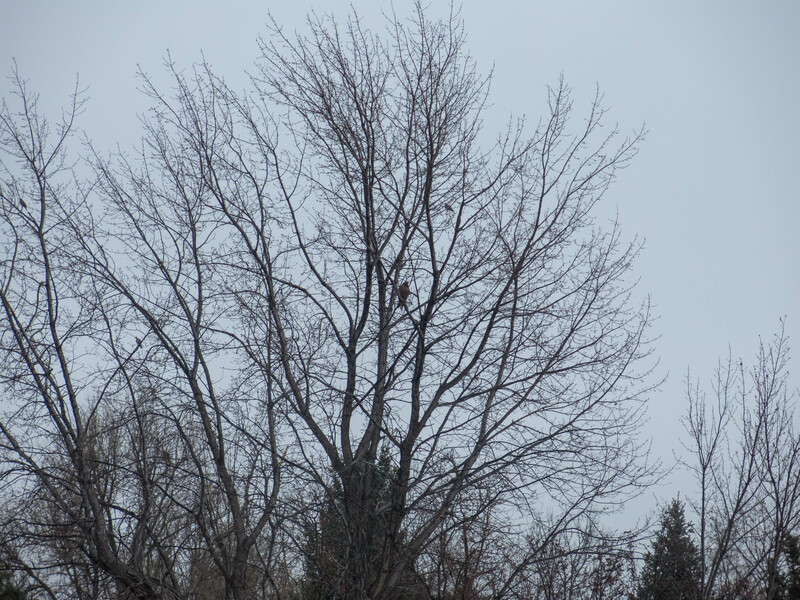 I guess they’re red-tailed hawks. Hardly anything at all is happening in the gardening, though there are snowdrops up in various places, and some flowering in the snowdrop frame. But a couple of days ago there were crocuses flowering. 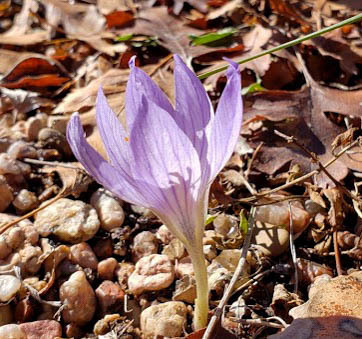 This is Crocus damascenus. Things slow down in the garden at this time of year, and if it isn’t snowing, the guy I live with says it can be very pleasant in the garden. But today it was misty and drizzling, with the temperature right at freezing for most of the day. The guy I live with said the humidity was about a thousand percent. Everything was coated with a thin film of ice. This sort of weather is unusual for here. My evening walk was a brisk one. Aside from snowdrops, the new cyclamen are happy in the flats upstairs. 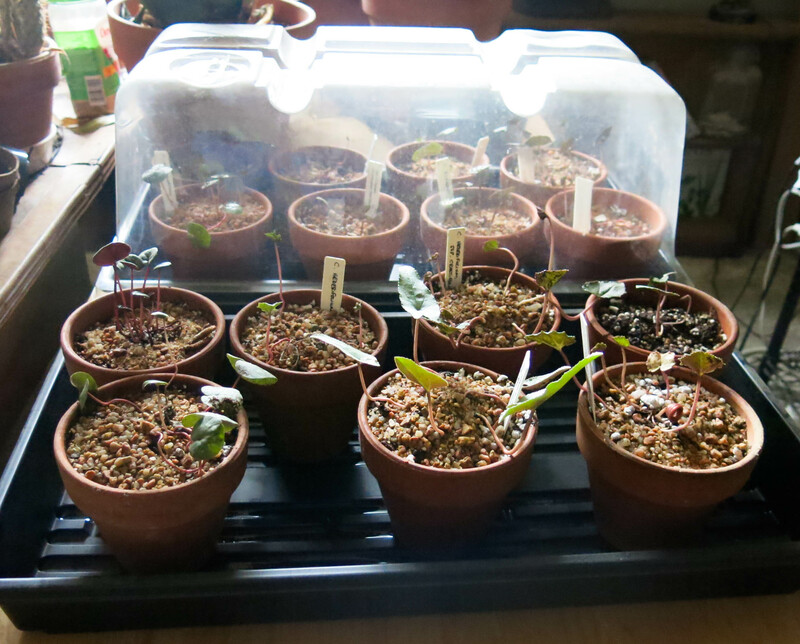 The cyclamen are in “nanodomes”, which help prevent them from drying out too much. There are little vents in the tops of the nanodomes, which can be closed, though with the cyclamen the vents are open, so the cyclamen won’t get soggy. You can see that the plants are happy right now. This is Cyclamen hederifolium ‘Tilebarn Helena’. And this is the same species; a selection called ‘Silver Shield’. The guy I live with likes cyclamen a lot. I guess that’s obvious. He said he would join the Cyclamen Society, something he’s been meaning to do for a number of years, but never has. You can get seeds from the Society, as well as the various rock gardening societies. I guess that’s all for today. I’ll leave you with a picture of me in what the guy I live with said was complete repose. Wow, Mani, controlled sultriness in one photo and complete abandon in another. Very nice. And the cyclamen! Silver Shield, that one seems very unusual. 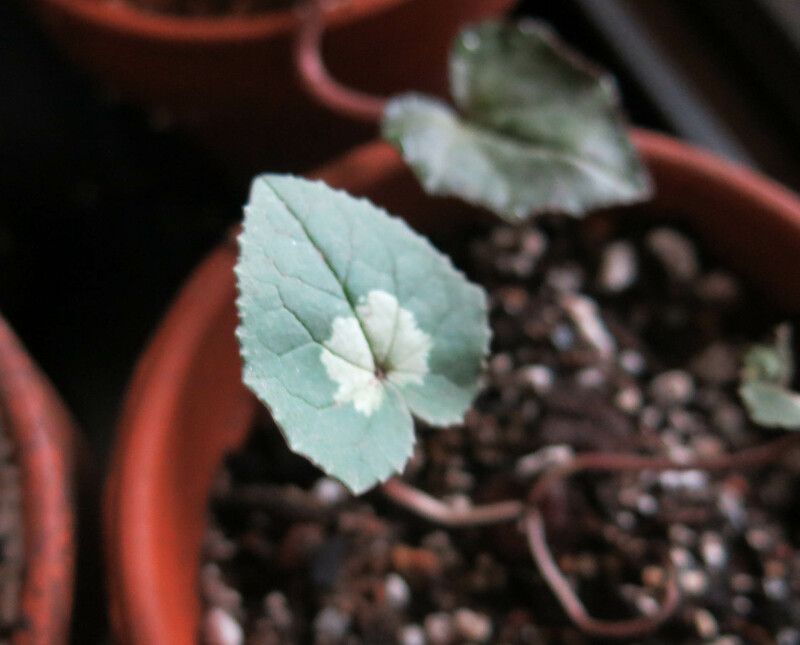 Have you had the silver hederifoliums seed around much? Do they stay silver? Will you be watching football and overeating on Thanksgiving? It seems like a dumb holiday to me. I can overeat any time, how about you? Is it allowed? 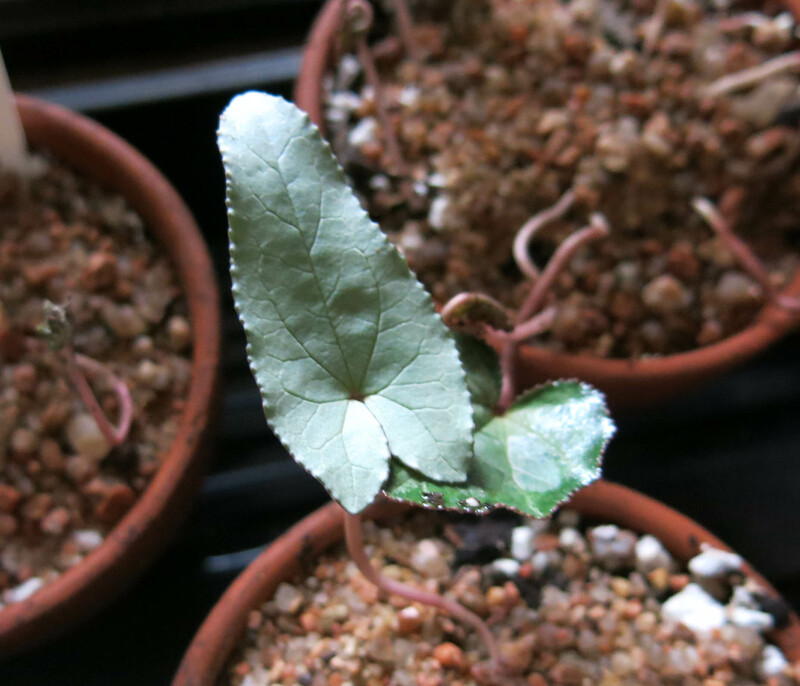 I’m not sure if the silver leaves stay silver when they seed; the ones on Cyclamen coum do, sometimes. The guy I live with said…well this is kind of complex, I guess….we’ll probably have Thanksgiving here. That would suit me just fine, and him, too. We like staying with each other. He said the holidays just aren’t the same since his wife died. They weren’t all that great when she was here, in one sense, because he had to work the day before and after, and the day itself—especially Christmas—was filled with all this driving. Driving to one house on Christmas Eve, after work, driving to his mom’s on Christmas morning, and then driving back over there for dinner. It was totally exhausting. And then back to work the next day. Not much time just to sit and look at the lights on the tree his wife decorated every year. And now she’s gone. (This will be the tenth Thanksgiving and tenth Christmas since she died.) And people are constantly trying to tell him how he should feel about this. That does not help at all. So I think we’re going to have turkey at home. I hope I get some. If “we” are going to have turkey at home, that includes you, right? The girls and I will have pie, I think. And look forward to January. I guess it includes me. The guy I live with hasn’t really said if giving purebred border collies turkey with all the trimmings was standard operating procedure in the past. I like to think that it was. I have had turkey before. One thing we’ve started doing is being on the couch together more. The guy I live with sits at one end and reads, with his new reading glasses, and I snuggle up next to him. It really is quite excellent. Maybe some time he will read me a story. Nothing scary or anything like that. 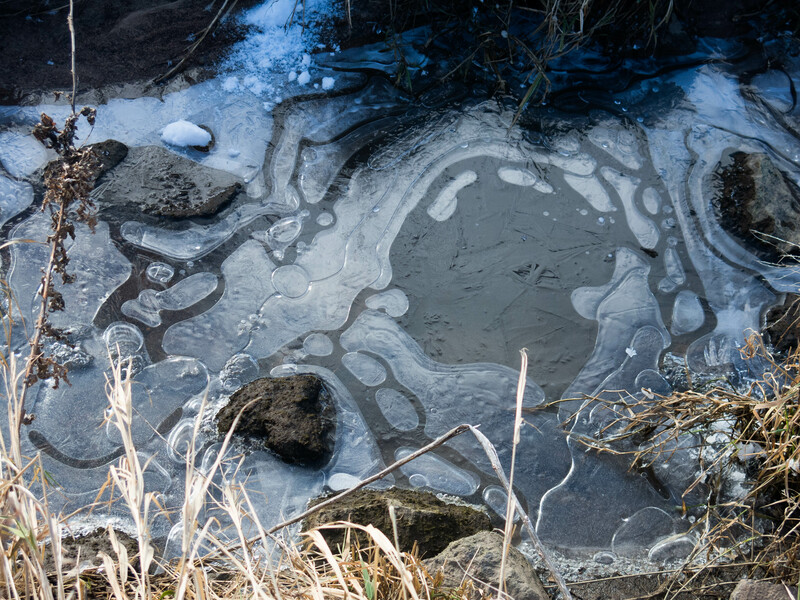 Your pictures of frost and ice remind me why I stay in California. Yes, the guy I live with said we would like to live there too, but maybe not so much now, with all the smoke. It is not how he remembers it anyway. No. Well, most of it. It looks like the house at 4834 Oakwood Avenue, where his grandparents lived for a while, and his mom too, during the war, is still there. They lived in the part called 1/2. Like the basement or upstairs or one side of the house. Up the street from where his grandparents moved to after the war. Even though the house is still there, the neighborhood around it, as well as the formerly idyllic culture, have changed. Besides, if you are accustomed to the weather there, you might find the weather in Los Angeles to be too boring. 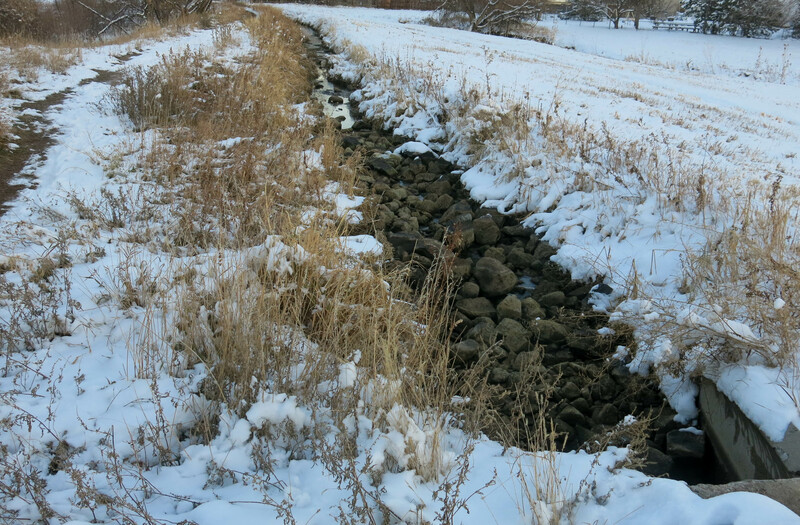 The guy I live with says he has never really adjusted to having his hindquarters frozen, here in winter, as much as they can be, and misses rain. Though I guess people living in California do, too. Hey, we happen to be expecting our first storm on Wednesday morning! PARTY! With rain, no doubt. Sigh. Oh, I am sorry. I did not mean to make you feel left out. It is good for us here. Well, the guy I live with says that rain here, in the winter, would not be a good thing, because of all the dormant bulbs and agaves and stuff, but that he would rather live in a Mediterranean type climate, and grow different plants. But we’re here instead. There are a few things that we can not grow well because of the lack of chill. In the Los Angeles region, there are even more things that do not do well. There are only two apples that are reliable there, and they are not very good. Cherries are okay, but not as good as in other places. Most bulbs are grown just as annuals. Yes, the guy I live with said there were ‘Tragedy’ plums in the garden in Los Angeles, as well as a peach and a nectarine, and none bore fruit. The plums oozed, though, from the bark, which he thought was cool when he was a kid. How funny! I though that gummosis was cool too. It made those pretty amber marbles. If I found them soon enough, they were still pliable and sometimes sticky. I had no idea how bad they were for the trees. Was the ‘Tragedy’ plum planted intentionally, or was it the understock of a tree that had been cut down or died? The guy I live with says the plum tree was probably planted in the 1920s or 30s. Even he is not that old. That would make more sense. It was probably a more popular variety back then. Although I prefer other cultivars, those old one are so resilient, and have a nice way of replacing themselves before the main trunk dies (if they die). We do not have any here, but the American plum does just as well. It was the common understock in this region. No plums here. There was one, badly damaged by the hailstorm of 1991, and then it was snapped in half by the wind, one winter. Anyway, there’s a Whole Foods just down the street. Whole Foods is not fun. Besides, it is like . . . cheating. Love the tiny tongue there, Mani! 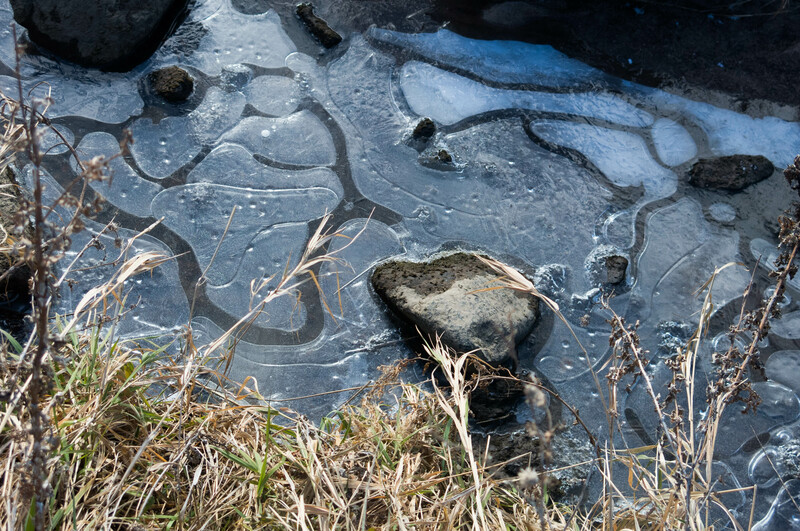 Beautiful ice patterns. I’m new (7 winters) to colder winters, not like yours, but still cold, and take lots of pretty pictures of ice and frost! When (not if!) I get my adult children out of the house, I’ll turn one of the small rooms into an indoor greenhouse! That would be heaven. I’m starting to see it now. Thanks. I don’t often sleep like that, I think. (I’m asleep, so I’m not sure.) It was 60 here today. Pretty nice. The guy I live with did some cooking, and took some pictures of crocuses. Then we saw an owl on our evening walk. We even saw it hooting. Do the goldfinches stick around? They seem to be, this year. The hail in August destroyed any natural source of food (seed heads) around here. In years past, the thistle feeders were filled with thistle which might have been a year or more old. Now we buy fresh seed, which might be why there are so many goldfinches, and why they stay. Your summer goldfinch pics spurred me to start feeding birds again after a 15 year hiatus. The goldfinches here also like black oil sunflower seed alot. Agree, thistle has to be fresh or they ignore it. Hours of enjoyment. Thanks Bob and TDYLW. Sure; fresh seed does seem to be the key. Oh, dear popular host, please relay to the guy you live with that he might think about producing a book on how muskrats spend their winter. When it becomes a bestseller of Potter proportions, you can snuggle next to him on the couch while he reads it aloud. 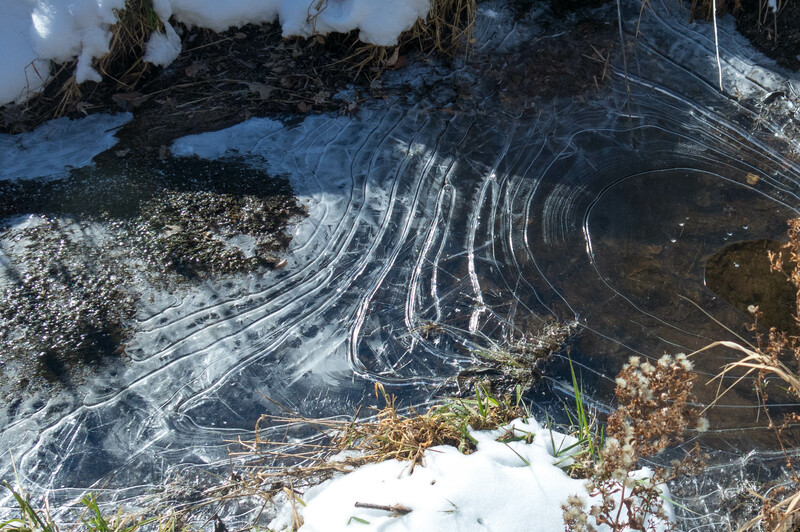 Also, those ice photos make me think he could consider a backup career as an Alt Artistic Photographer. When we were in Australia and the terriers were kenneled at the vet down our street, all my doggie love was spent on reviewing your adorable tip-of-tongue portraits. Thank you for your service. You will be remembered in a Thanksgiving toast and a forkful of turkey will be lifted eastward and up in your direction. Cheers! Thanks. I do try to be adorable. (It isn’t really all that hard.) Writing a bestseller sounds like an awful lot of work to me. 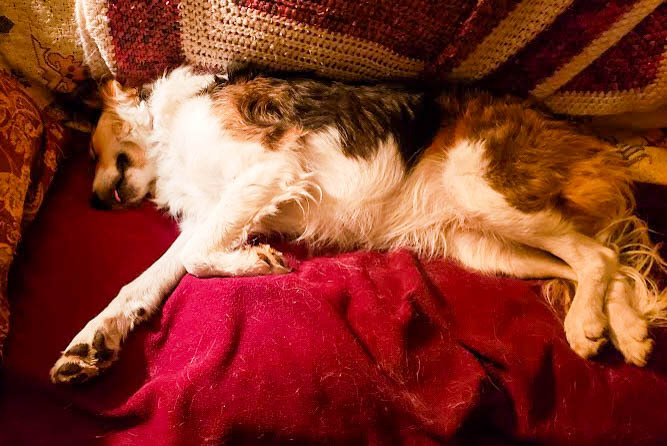 You may remember that Chess, the purebred border collie who lived here before me, was going to be the subject of a series of “Captain Cuddles” books, which never materialized; that seems to be the way of things here, these days. Things that never got done. We do have a turkey, though. In the refrigerator. Thanks Mani for taking me on another one of your walks. I tend to hibernate when the grass turns crunchy. I never would have seen those ice pattern images without you dragging your guy outside with you. Really zen. Do you know if your guy used his new walking phone to take the pictures? Or did he carry his big camera? 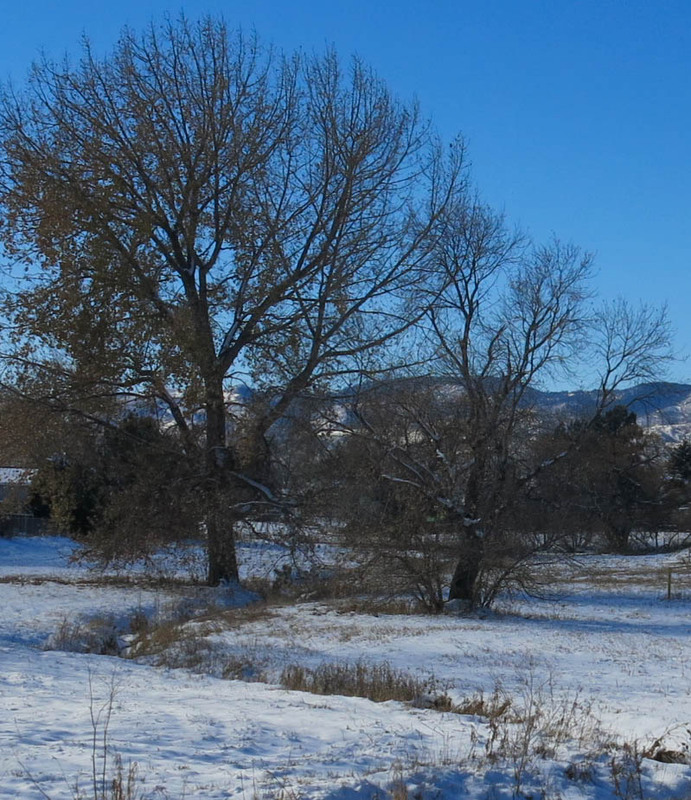 Pretty much all the pictures posted on the blog (except pictures of bulbs) are taken with the Canon PowerShot G15. (Not the big camera.) He got these pictures walking right along the bank, just holding the camera over the canal and clicking away while I pulled him along. Sampson the Doberman, here. The sky photos you guys post are phenominal. We don’t really have that kind of drama here. I also love hearing about the wildlife walks. My people do a morning walk with me in a park that borders the Sound here in Seattle. We saw two sea lions this morning. I have to say they are not as thrilling as the squirrels or the bunnies. Do you ever get close to the muscrats? Thanks. No, the only thing I ever get to get close to is the geese. Of which there are a lot, at this time of year.